Quote Texas is your reliable and trustworthy insurance company that can create a suitable insurance plan for your Texas eatery. If your residential contracting business is in need of a comprehensive insurance plan, contact Quote Texas today. Contact Quote Texas if you’re looking for a reliable and trustworthy insurance company in Texas. 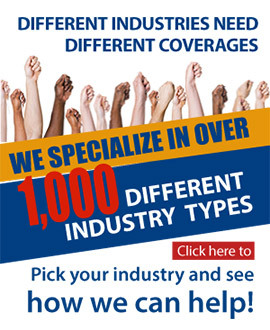 We provide excellent coverage rates for any budget. Contact Quote Texas today for reliable insurance plans that are tailored to your painting contracting business. Contact Quote Texas today so we can create a working insurance plan for your non-residential contracting company in Texas. Contact Quote Texas today if your electrical contracting business in Texas needs a comprehensive insurance plan. If you’re a cement contractor operating in Texas, contact Quote Texas today. We offer and create comprehensive insurance plans that are tailored to your business. Contact Quote Texas today if you’re interested in protecting your consultation expertise and office with the previously mentioned insurance policies. Quote Texas has been providing various industries in Texas with policies that suit their business’ needs since 2001.